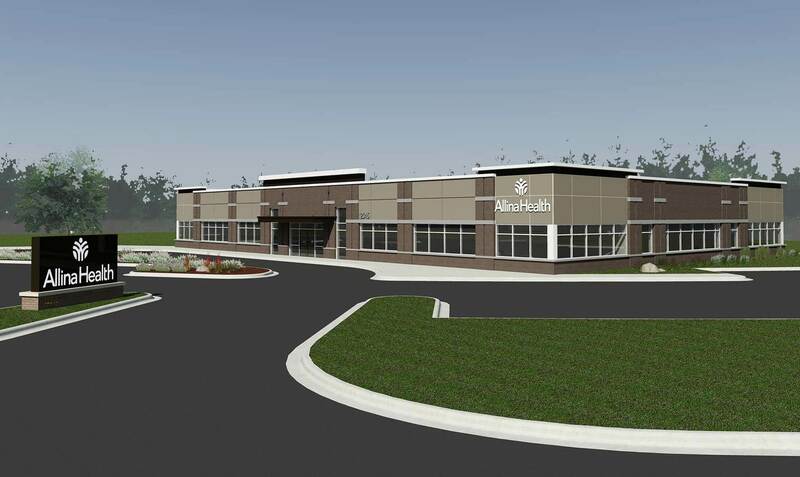 This single story building, fully leased by Allina Health, was designed with brick, EIFS and glass. The structural system consists of steel roof joists and metal stud bearing walls. The clinic was designed with a front canopy for convenient, safe patient drop off. It is situated on the site to offer high visibility from the main road and provide ample, accessible patient and staff parking.